Barcelona, the sophisticated capital of Spain’s Catalonia region known for its art and architecture, forms the backdrop for the 18th edition of ITMA. To be held June 20-26, at the Fira de Barcelona Gran Via, Barcelona, Spain, ITMA 2019 is now just a few short months away! 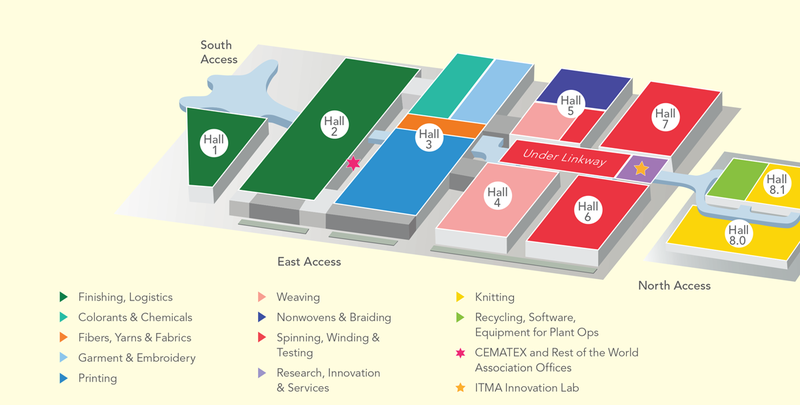 The quadrennial textile trade show, owned by the European Committee of Textile Machinery Manufacturers (CEMATEX) and organized by Brussels-based ITMA Services, is always a highlight on the textile trade show calendar. ITMA rules for exhibitors state that companies may show only “newly manufactured products” guaranteeing the latest-generation machinery and innovative technologies will be on display to visitors. As of Textile World’s press time, more than 1,600 companies from 46 countries have registered to participate in ITMA 2019. The show will occupy all halls of the Fira de Barcelona Gran Via venue filling the gross exhibition area of 240,000 square meters. Organizers also predict some 120,000 visitors from 147 countries. As is usual with the show, the largest number of exhibitors come from European countries, with CEMATEX countries accounting for approximately 65 percent of all exhibiting companies. Italy represents the largest contingent, followed by Germany and Spain. Outside of Europe, companies from Turkey, India and China occupy the top spots in terms of total floor space reserved. Viewed by sector, finishing exhibitors account for 25 percent of all exhibits in terms of space, followed by spinning with 14 percent, printing and weaving with 12 percent each, and knitting exhibitors with 11 percent. Exhibitor categories showing the largest growth include the garment making, and printing and inks sectors. Garment making counts a number of first-time exhibitors eager to demonstrate their robotic, vision system and artificial intelligence solutions; and the number of exhibitors showcasing their technologies in the printing and inks sector has grown 30 percent since ITMA 2015. All exhibits at ITMA 2019 will be indexed into 19 categories called chapters (see Table 1). ITMA Sustainable Innovation Award, which was created in 2015 to “recognize the collaborative efforts by the global textile industry to advance business sustainability through innovative solutions, and promote outstanding industry related research” in two categories — Industry Excellence and Research & Innovation Excellence. The official ITMA 2019 app also is new for 2019. The app, which may be downloaded free of charge from the Apple App Store or Google Play, offers key information on the exhibition to help attendees plan their visit. Maps and searchable exhibitor lists, as well as general show information are all available in the app. The educational program features two main conferences — the ITMA-EDANA Nonwovens Forum, and the Textile Colourant and Chemical Leaders Forum. The event also will host a panel discussion featuring experts from the nonwovens sector on their views of nonwovens processes in the 2030s. The third Textile Colourant and Chemical Leaders Forum on June 23 is geared to dyestuff, color and chemical professionals. The event, titled “Meeting Resource Challenges in the Circular Economy,” will explore “how textile chemicals and innovative and cleaner technologies can help create a more sustainable future for the textile and garment industry,” according to the organizers. Envisioning the future of the colorant and chemical industry. Organizers are offering an early-bird registration discount. Anyone who registers online before May 15, 2019, may purchase a one-day pass for 40 euros ($45) or a seven-day badge for 80 euros ($90). 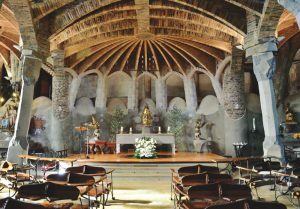 The online rate then rises to 55 euros ($62) and 95 euros ($107) respectively. Onsite, registration will cost 85 euros ($96) for a one-day pass, and 125 euros ($140) for the seven-day badge. Attendees may also purchase conference and forum passes online, as well as request an invitation letter for a visa while ordering a badge. Show hours are from 10 a.m. until 6 p.m. June 20-25, and from 10 a.m. until 4 p.m. on June 26. Book a hotel, buy a badge, download the official ITMA 2019 app, and join the large gathering of textile industry personnel in Barcelona this summer. The Textile Industries Media Group will be at ITMA, and attendees are invited to stop by Hall UL, Booth B208 to pick up complimentary copies of Textile World and Textiles Panamericanos. 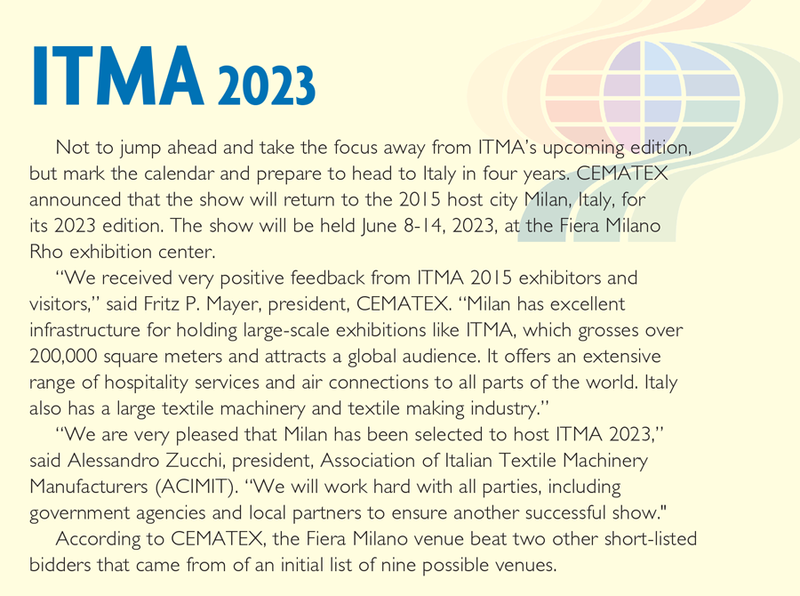 For more information about ITMA 2019, please visit itma.com. 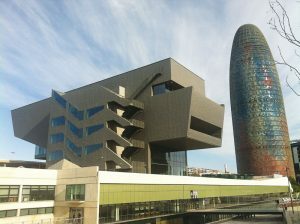 For more information about the city of Barcelona, please visit barcelonaturisme.com. Located on Spain’s northeast Mediterranean coast, Barcelona is capital of the autonomous community of Catalonia, and — with a population of more than 1.7 million people in the city proper and a metropolitan area population of more than 5 million — Spain’s second-most populous city after Madrid and Europe’s largest Mediterranean coastal metropolitan area. Textile production was an important component of industrialization in the late 18th century, and it continues to be important today — indeed, the vast majority of members of the Spanish Association of Manufacturers of Textile and Garment Machinery (AMEC AMTEX) are located in Barcelona province, and AMEC AMTEX has its headquarters in the city of Barcelona a couple of miles up the road from Fira de Barcelona. In addition, the city has attempted more recently to become a major fashion center. The Catalan region has long fostered a strong separatist identity and today still values its regional language and culture. Although Spanish is spoken by virtually everyone in Barcelona, Catalan is understood by about 95 percent of the population and spoken by about 75 percent. Barcino underneath the center of present-day Barcelona, and parts of the old Roman wall are visible in newer structures including the Gothic-era Catedral de la Seu. Colònia Güell, an industrial estate established in nearby Santa Coloma de Cervelló by Eusebi Güell, a textile business owner who moved his manufacturing business there from the Barcelona area in 1890, setting up a state-of-the-art vertical textile operation and providing living quarters and cultural and religious amenities for the workers. The mill closed in 1973. Barcelona was also home at one time or another to 20th-century artists Joan Miró, a lifelong resident, as well as Pablo Picasso and Salvador Dalí. There are museums devoted to the works of Miró and Picasso, and the Reial Cercle Artístic de Barcelona houses a private collection of works by Dalí. The Museu Nacional d’Art de Catalunya, located in the Parc de Montjuïc near Fira de Barcelona, has a major collection of Romanesque art and other collections of Catalan art spanning the ages. Barcelona also has a textile museum, the Museu Tèxtil i d’Indumentària, which offers a collection of garments dating from the 16th century to the present; Coptic, Hispano-Arab, Gothic and Renaissance fabrics; and collections of embroidery, lacework and printed fabrics. Those wanting to get a taste of life in Barcelona may want to join the locals in the evening for a stroll through the streets of the city, and sample the local cuisine and nightlife. Just remember that dinner is served late — restaurants generally serve between 9 and 11 p.m. — and partying goes on very late into the night. There are several options for getting around Barcelona. Public transportation services include a metro with nine lines, buses, both modern and historic tram lines, funiculars and aerial cable cars. Barcelona is known for its summer time street parties and district festivals, and June 2019 has a lot to offer visitors. One of Spain’s largest outdoor parties takes place June 23. Known by many names including the Sant Joan’s Night, Revetlla de Sant Joan and Night of Fire, the event roughly coincides with the Summer Solstice and celebrates the start of summer. The event likely has pagan origins with fire and renewal playing an important role. 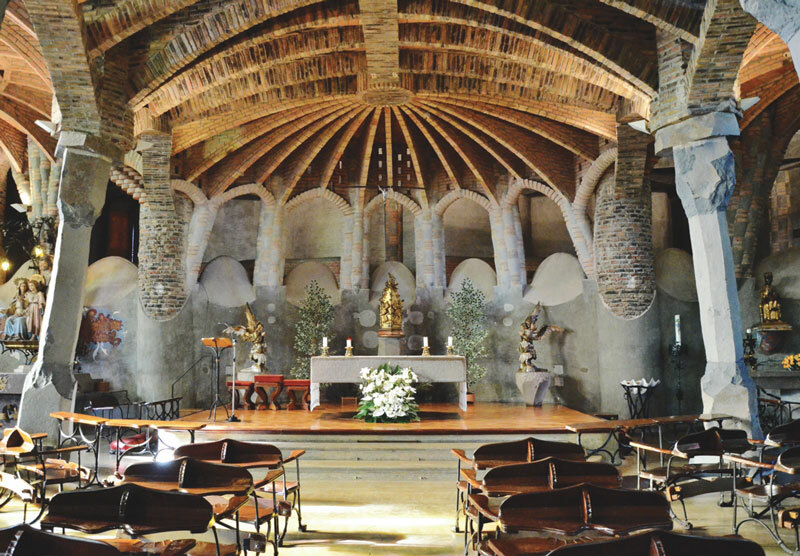 At midnight on June 22, a flame — which is kept burning all year round at a museum in Perpignan — is carried to the top of Mount Canigó to start a fire. This fire is shared with torches that are carried in relay to towns throughout the area. On June 23, the flame arrives in Barcelona’s Placa de Sant Jaume, where it is met by traditional festival figures before it is shared and taken to neighborhoods and boroughs around the city to light bonfires. The celebrations are embraced all over the city throughout the day with community dinners, concerts, fire-running processions and dances. Cava and a specialty flatbread called coca de Sant Joan are enjoyed during the festivities. However, many people head to La Barceloneta Beach to celebrate in the evening— with picnics, fireworks, bonfires and music — for an event that often lasts until dawn. Not surprisingly, the following day is a public holiday in Barcelona. A series of free, outdoor concerts runs through the summer months in Barcelona at a variety of parks. The Música als Parcs features Jazz music in June on Wednesdays and Fridays. Gaudí’s Casa Batlló hosts open-air concerts on the roof terrace in its “Magic Nights” event at the infamous Barcelona landmark. Tickets must be purchased in advance for this special one-hour event. Admission includes two drinks; live music from a variety of genres including pop, rock, jazz and flamenco; and a SmartGuide augmented reality video guide to learn more about Gaudí. Visit casabatllo.es/en/online-tickets/visit-magic-nights/ to learn more. Now in its seventh year, the Jardins Pedralbes Festival is a series of outdoor concerts held in the gardens of the Pedralbes Palace June 5 through July 15. Concert goers are invited to arrive early to wander the gardens, which features two works by Gaudí — a parabolic pergola and Hercules fountain. The auditorium, which seats 2,000, is set up opposite the façade of the palace. The diverse 2019 concert series is packed with stars including Mariah Carey, The Gypsy Kings, Kraftwerk and Il Divo. For more information, visit festivalpedralbes.com/en/. 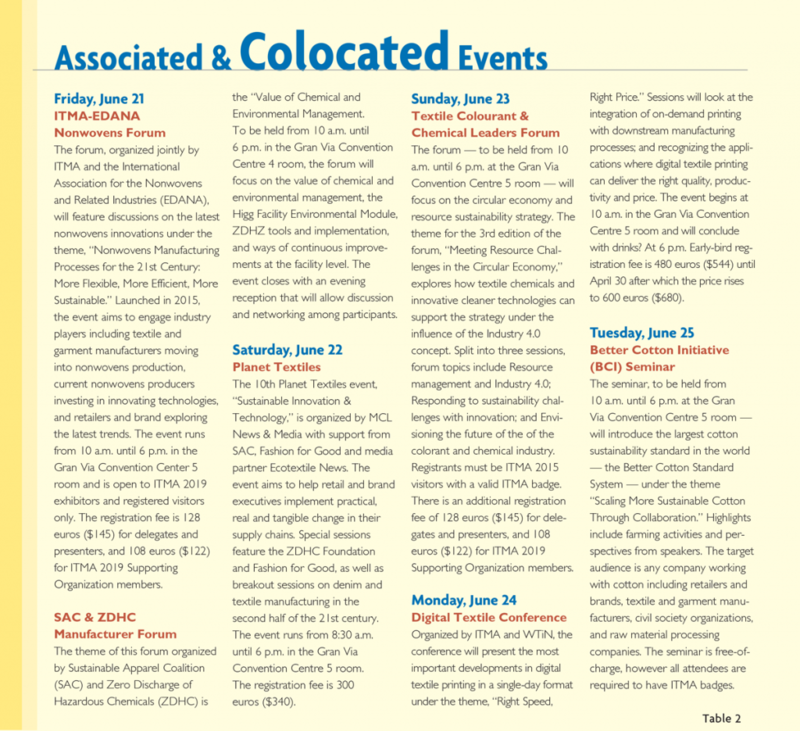 The Festa Major del Casc Antic — or festival of the Old Town — begins June 21. During this celebration, some of Barcelona’s oldest neighborhoods — Sant Pere, Santa Caterina and La Ribera — host communal activities for people of all ages including traditional dances and street performances, and huge meals featuring botifarra sausage barbecues and vermouth sessions. And for the motor sports enthusiast, the Monster Energy Catalonia Grand Prix motorcycle race is not to be missed June 14-16. This MotoGP World Championship race covers 25 laps, and it is a popular event because of the level of local success in the sport. Pack for warm weather and sun in Barcelona. The average high temperature for June is 77°F. For more information on things to do in Barcelona this summer and to learn more about the city, visit barcelonaturisme.com.